5 Things Most People Don’t Know About Bitcoin – Do You? New to buying Bitcoin? Wondering about Bitcoin basics? 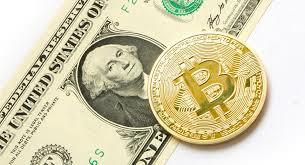 While anyone, anywhere can buy Bitcoin fairly easily and quickly, a lot of new buyers don’t actually know about some of the basics before they buy. In fact, even some long-term holders don’t know a few of these things! So this post will help fill you in on a few things most buyers don’t know (that they really should). This is an awful lot of money for them – so they just assume that they can’t invest in Bitcoin. What they don’t know is that Bitcoin is divisible down to 8 decimal places. Therefore, 0.00000001 BTC is the smallest amount that can be handled in a transaction. This means that most people can buy Bitcoin on an exchange for as little as $10 – $20 U.S. This is great news for newbies since they can dip their toe into the water with small amounts and get used to the Bitcoin ecosystem slowly as their comfort level allows. When you sell something in Bitcoin, the transaction is not reversible and cannot be disputed. This can be a benefit if you’re a merchant (and you don’t want dishonest customers disputing Visa charges for your product – so that you lose the money and the product). When you sell something in Bitcoin, the transaction is not reversible and cannot be disputed. However, on the downside, it also means that if you accidentally send coins to the wrong address, you’ve lost that money for good. So you have to be extremely careful, especially when withdrawing your coins from exchange to your wallet address – that you get the address right. I hear it all the time: “Bitcoin isn’t safe because it can always be hacked.” And that’s just NOT true. The blockchain cannot be hacked. However, a Bitcoin exchange (where people buy and sell Bitcoins on the open market) CAN be hacked. Mt. Gox was an example of a Bitcoin exchange that was hacked – and millions of dollars of Bitcoin were stolen. It’s for this reason that this site recommends you never leave your coins on an exchange. Move them to your wallet or better yet a cold storage wallet like the Ledger Nano S.
Most people think that Bitcoin is completely anonymous. That’s not true either. Every transaction you ever do in Bitcoin can be seen on the Blockchain. However, the only thing that is visible is your public wallet address and the transaction numbers. Many people think that they actually hold their Bitcoins in their wallets. But that’s not the case. The wallet simply holds your private and public addresses (or keys). Ownership of BTC implies that someone can spend Bitcoins associated with a specific address (your private key). To do this, a payer must digitally sign the transaction using the corresponding private key. If you don’t know your private key (that is in your wallet), you cannot sign the transaction or spend your Bitcoin. The network verifies the signature using the public key. If you lose your private key, the bitcoin network cannot recognize any other evidence of your ownership – and you can’t spend the coins. How would you lose your private key? This depends on your wallet. For example, if you’re using a desktop wallet and your computer is hacked or gets a virus, then you can lose your private key. If you have a mobile phone and you lose it (and you haven’t backed it up), you can lose your private key. This is why one of the safest ways to protect your private key is to use a hardware device like a Ledger Nano S or Trezor. These devices keep your private keys secure, even if you connect them to a computer that is infected with spyware or a virus. So those are some Bitcoin basics you need to know if you’ll be buying Bitcoin. 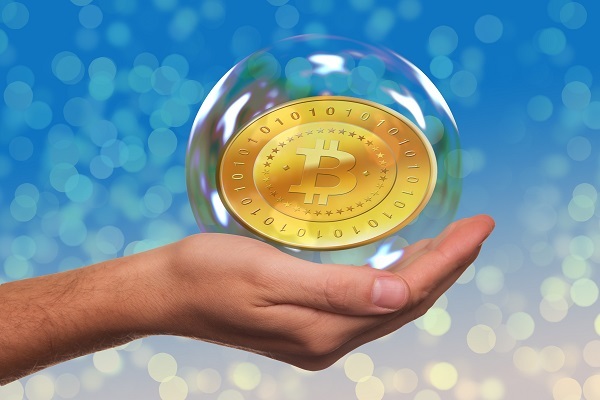 Bitcoin has enormous potential, but you should never invest more than you can afford to lose. And play it safe – always buy from sellers with a good reputation and never keep your coins on an online exchange for any length of time!